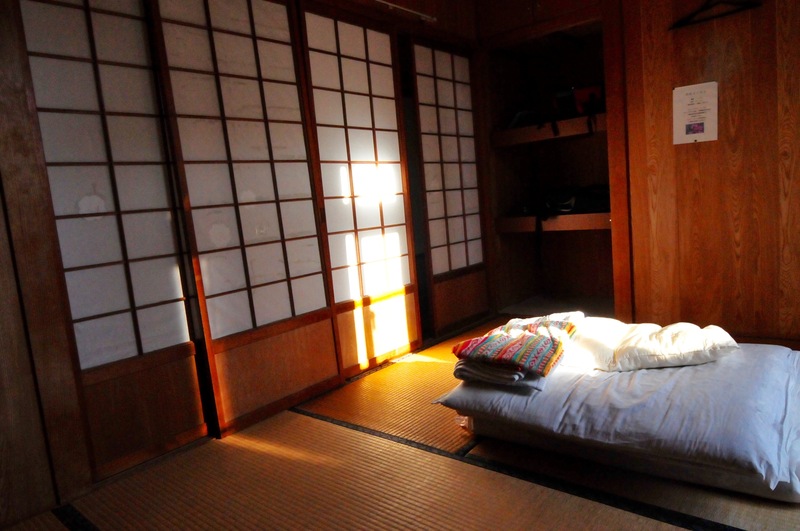 So we stayed in a guest house in Aka called Sakubaru. It is shabby, disorganized, devoid of ceremony, pretty much like the rest of the village of Aka. I love it. What I finally noticed about Aka and indeed other villages in the Keramas, is that there are no big hotels, no tourist shops. 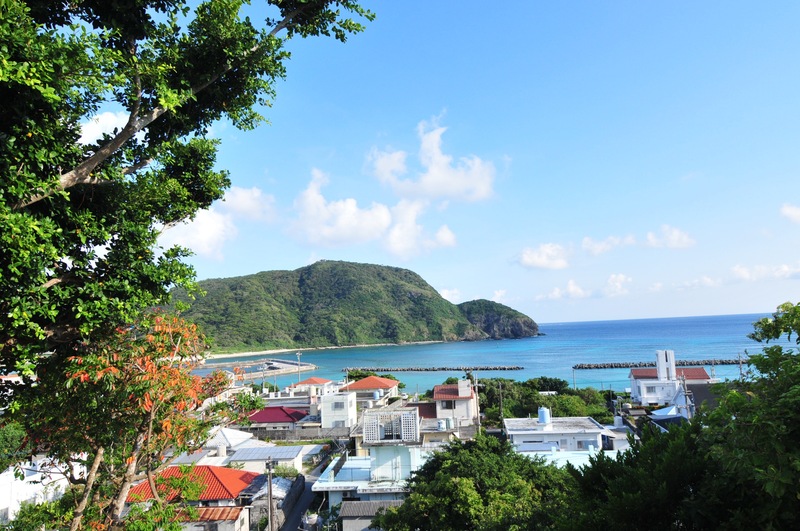 It is just a little remote Japanese harbor. People rent out rooms to visitors but that is about it as far as the tourist industry goes. I ask about this and am informed that although they could make millions by selling land to Sheraton , Best Western, Hilton etc, they prefer not to. 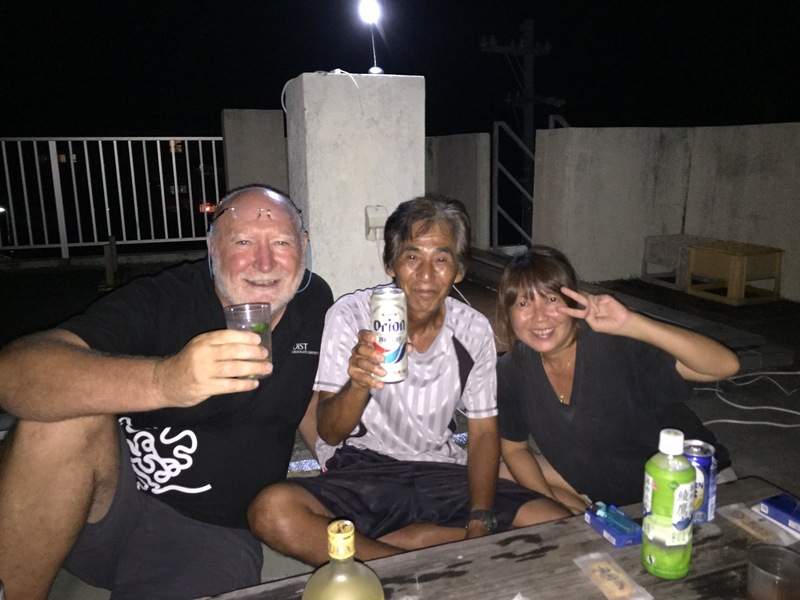 Kinjo san and his wife Mari san, as what own the guest house, ask us up on the roof to watch the stars. Kinjo san and Mari san. 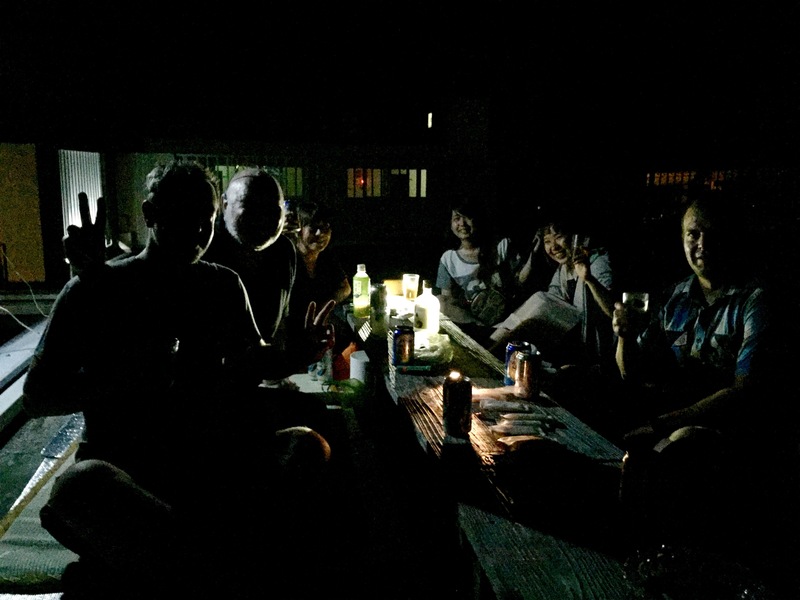 We drink awamori and Orion beer. 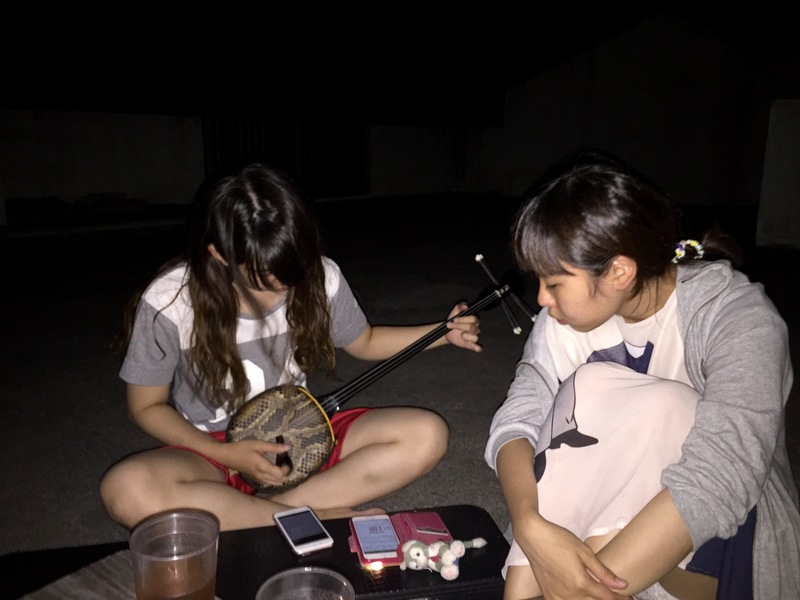 Soon Momo san and Mami san show up with a sanshin. After a while another Kinjo san shows up. 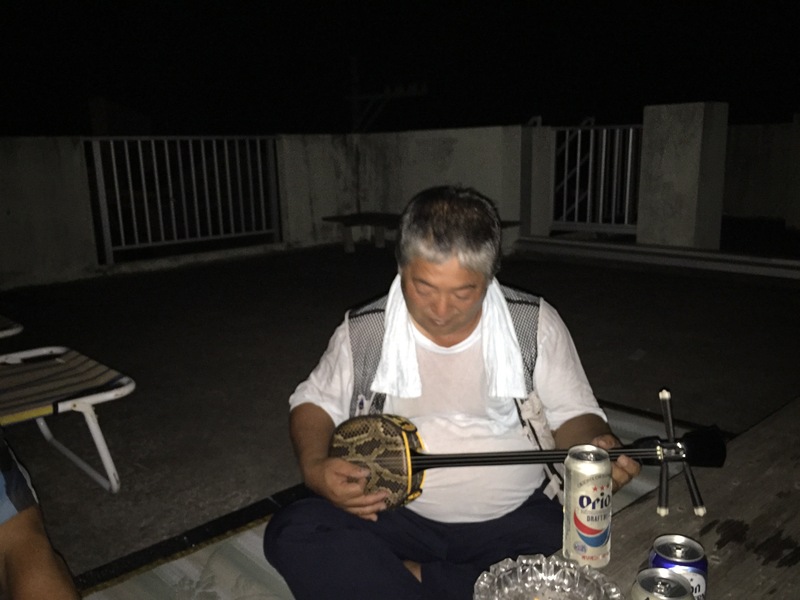 Now he can really play that sanshin and what is more he knows Scottish tunes. We sing Auld Lang Syne, Morning Has Broken, Amazing Grace and amazingly, Coming Through the Rye. He had no idea where he had learnt the tunes. Anyway he played and I sang with help from the other Kinjo san. 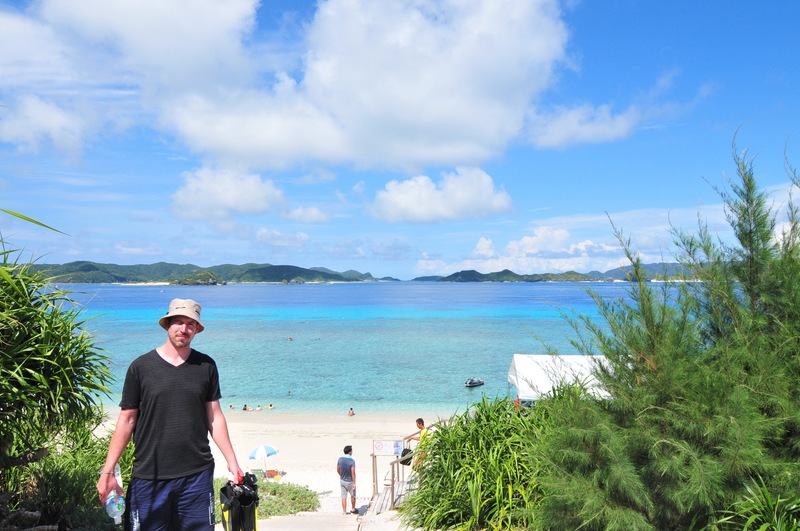 Anyway Aka Jima is an amazing place. It has the best beaches. Beautiful sand goes straight into coral hence incredible snorkeling.